Vasco da Gama is the newest ship to join the Cruise & Maritime Voyages fleet, more recently known as the much-loved P&O Pacific Eden. So it’s no surprise that Vasco da Gama cruises will be replacing those offered by Astor as Cruise & Maritime Voyages‘ local Australian offering. Launching in April 2019 from Singapore, Vasco da Gama cruises will commence with her making her way to Europe, until October when she’ll cross the globe on her way to her inaugural season in Australia. 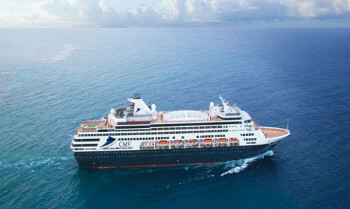 Once in Australia, Vasco da Gama will be cruising from Adelaide and Fremantle with itineraries visiting ports along both the southern and western coastlines of Australia and all the way into Asia including Bali. With arts and crafts growing in popularity, we are including sessions on all cruises of five nights or more where specialists will demonstrate their talents. These may include bead jewelry, painting, mosaic decoration, calligraphy and decorative card art. Materials will be supplied on board by the crafter for a modest charge. Join our light-hearted ‘Audience With .’ where you are invited to listen to an invited guest speaker or performer talk about their life experience interspersed with questions from you, the audience. Look out for some celebrity names joining us in 2018. On selected cruises, enjoy ‘Laugh on the Ocean Waves’ where you are invited to enjoy the talents of our guest comedians. Laughter is the best medicine so enjoy the talents of our comedy acts with their dedicated evening shows. 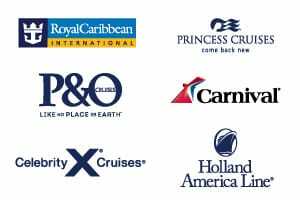 Look out for cruises listed with a smile symbol. 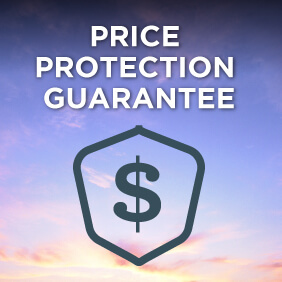 At Cruise & Maritime Voyages, we recognize the importance of offering a very high standard of evening entertainment brought to you by our experienced Cruise Directors and entertainment hosts. It is their aim to ensure that you have an unforgettable cruise holiday and present a truly wonderful and varied entertainment programme. With stylish productions, guest acts, cabarets and classical interludes, there’s something for everyone on board. Vasco da Gama offers a choice of three main Waterfront Restaurants Waterfront Restaurant, Waterfront Mediterranean and Waterfront Eurasia where, unlike our other ships, dining will be flexible and not fixed to specific sittings. You are therefore free to dine where and when you want to. In addition, there are two delightful specialty restaurants The Grill and Chef’s Table (supplements apply) or, as an alternative, enjoy more relaxed buffet style meals at the Club Bistro. At Hollywood’s, the fabulous two-tiered show lounge, you may enjoy ‘big show’ entertainment from our talented singers and dancers or one of our special guest acts. With its panoramic seascapes, The Dome is a delightful venue to relax and watch the world sail by or to chat with fellow passengers, and at night, this the place to be to dance the night away. By contrast, head to the Blue Room, the perfect venue to enjoy some musical entertainment after another wonderful day ashore or a nightcap before taking that final stroll on deck and retiring to the comfort of your cabin. Vasco da Gama offers extensive deck areas and in keeping with her tradition, starboard and port side promenades with timber style decking. There are two swimming pools with the main top deck pool benefiting from a retractable roof so that you can relax in this stylish setting, whatever the weather. If you’re feeling more active, then why not team up for a game of tennis or basketball. Be pampered at the well-appointed wellness centre with its beautiful spa amenities, make use of the hairdressing and beauty facilities, or work out in the well-equipped gym.